Planning to start selling your own software? There are plenty of programmers who make a decent living out of developing innovative products. Knowing how to code is not everything though. Once you are done with your product, you are going to have to promote it the right way. That includes putting up a professional looking website for it. 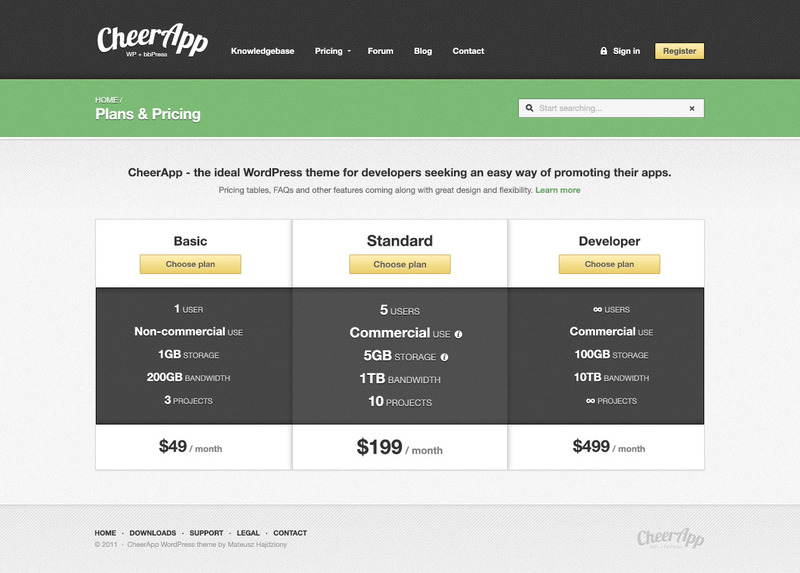 CheerApp for WordPress is just the theme you need for software sites. CheerApp is developed specifically for software sites. It offers unlimited colors via theme options. This theme can handle pricing tables beautifully. Your software site would not be complete without a forum. CheerApp has a support forum based on bbPress. Need a side blog or FAQ section? You are covered. You even get live search. The knowledge base feature comes quite handy. CheerApp has everything you need to start selling your software and provide support to your customers. It comes integrated with a forum feature too. This is a pretty versatile theme for software developers.